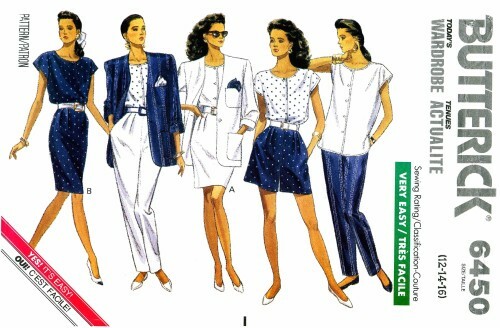 1980's Butterick 6450 Vintage Sewing Pattern Misses'/Misses' Petite Jacket, Top, Skirt, Shorts & Pants: Loose-fitting, unlined, below hip jacket has slightly extended shoulders, shoulder pads, pockets and long sleeves rolled-up (wrong side shows). Very loose-fitting top has shaped hemline, side slits and cap sleeves. Tapered skirt, above mid-knee or mid-knee, shorts above mid-knee, or tapered pants, have waistband and front pleats. Skirt: back zipper and hemline vent. 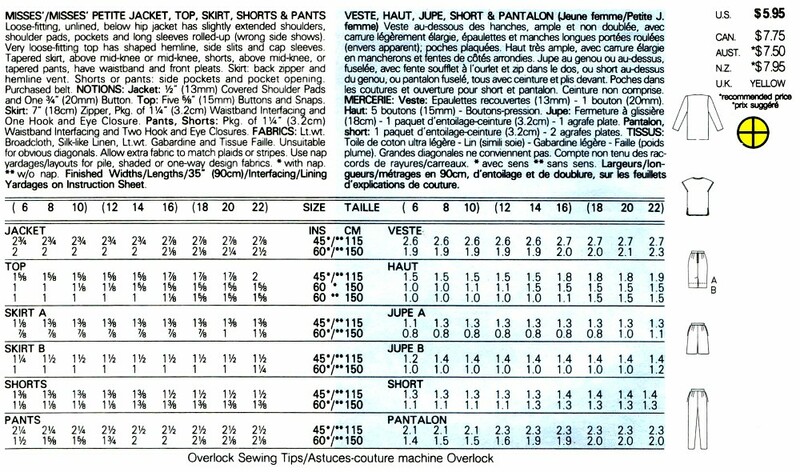 Shorts or pants: side pockets and pocket opening. Purchased belt.